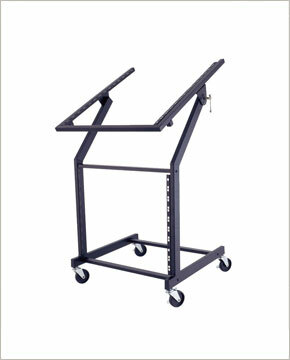 Heavy duty rolling rack with locking wheels. Fixed multi-location vertical mounts and a horizontal mounting rack. Adjustable angle upper rack and T-handle adjustment. Durable black powder coated finish.